We pride ourselves on our great customer service and offer free advice before starting any job. Orders are processed on time and on budget - good quality work at affordable prices. You will not be disappointed. 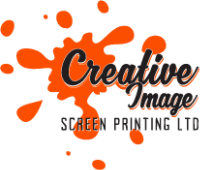 When you contact Creative Image Screen Printing Ltd you will be dealing directly with the company - no third parties are involved.